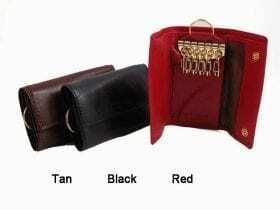 Arnold Leather Good’s range of Small Real Leather Accessories comprises a variety of accessory styles. 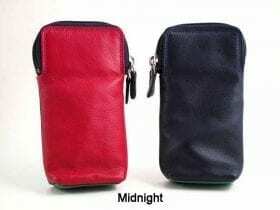 Suitable for both Men and Women, they are available in a choice of quality leathers and colours. For instance, our Classic shades comprise Black, Tan, Brown, Navy and Cream. In contrast, the Brights include Purple, Red, Pink, Turquoise and White. 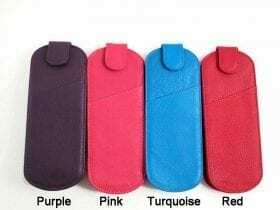 Items from our popular Multi-coloured RFID leather range and also our new plain colour RFID leather collection are also available. 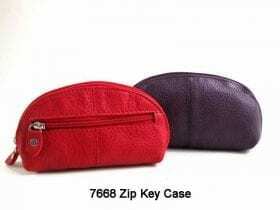 Our Small Real Leather Accessories section includes three styles of Spec’s Cases as well as three styles of Key Cases. 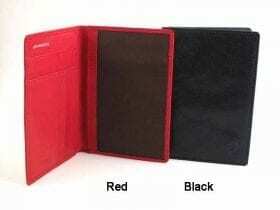 You can also find Real Leather Travel Card Cases and RFID Passport Covers in this section. 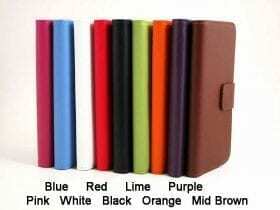 A colourful range of Real Leather Cases suitable for iPhones are also here. Some styles from our Multi-coloured RFID collection are featured here as well. These include a Concertina Credit Card Case, a Neck Purse and a Credit Card Purse. 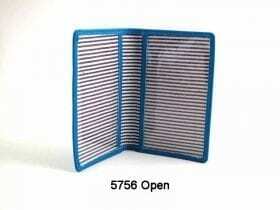 The Concertina Card Case comes in plain colours in addition to the multi-coloured range. RFID: Our Arnold Leather Goods Real Leather collection consists of various styles with Radio Frequency Identification (RFID) protection. Just under the outer layer of leather of the product is a special foil layer. It produces a Faraday Shield which blocks the radio frequency signal used for Credit and Debit cards. As a result, it will stop the scammers taking money illegally from your cards. 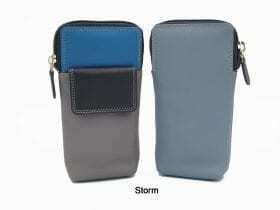 All of your credit and debit cards will be protected once inside the closed wallet or purse. Leather Travel Pass Case in Cowhide with two windows inside. 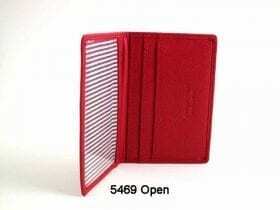 Radio Frequency Identification (RFID) Blocking Passport Holder in soft Calf. 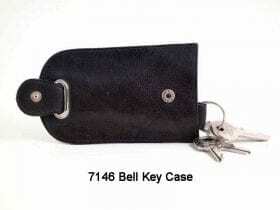 Leather Zip-round Key Case in Cowhide. 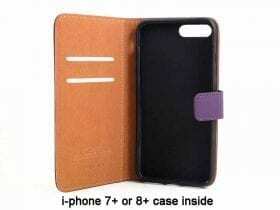 Real Leather Case for an i-phone 5c. It has an inner casing to fit your phone snugly and securely. Also inside, there are two credit card size slots and a section suitable for notes. The case closes with a magnetic tab. 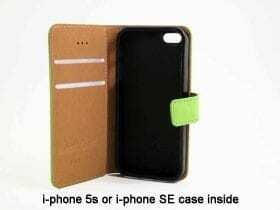 Real Leather Case for i-phone 5s or i-phone SE. It has an inner casing to fit your phone snugly and securely. Also inside, there are two credit card size slots and a section suitable for notes. The case closes with a magnetic tab. Real Leather Case for an i-phone 6. It has an inner casing to fit your phone snugly and securely. Also inside, there are two credit card size slots and a section suitable for notes. The case closes with a magnetic tab. Please ensure you order the correct cover for your phone to avoid any unnecessary returns. Real Leather Case for an i-phone 6+. It has an inner casing to fit your phone snugly and securely. Also inside, there are two credit card size slots and a section suitable for notes, etc. The case closes with a magnetic tab. Real Leather Case for an i-phone 7 or 8. It has an inner casing to fit your phone snugly and securely. Also inside, there are two credit card size slots and a section suitable for notes. The case closes with a magnetic tab. Real Leather Case for an i-phone 7/8 plus. It has an inner casing to fit your phone snugly and securely. 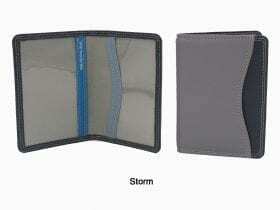 Also inside, there are two credit card size slots and a section suitable for notes. The case closes with a magnetic tab.